We’re lucky to get to do good work with great partners, constantly creating a variety of visual content. Whether it’s an annual report, infographic, or live-action video, we love the challenge. But what we love most is getting to share these projects with the world, so we take time each week to do just that. Check out this Work of the Week, and if you want to see more of what we do, check out our portfolio. It’s chilly outside—especially for our four-legged friends. To help keep pets safe this winter, we partnered with the ASPCA to give owners a few helpful tips. Education comes at a pretty price these days, and most students graduate with student loan debt. How long will it take to pay off? 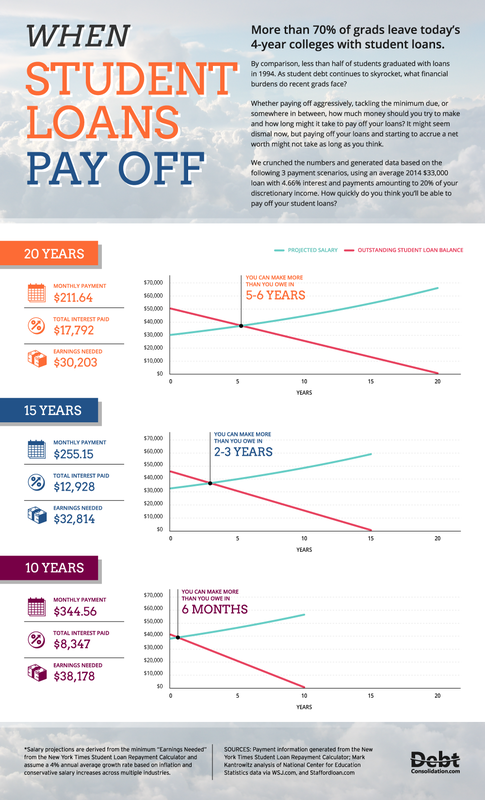 This infographic, made in partnership with Debt Consolidation, takes a look. The UCI Institute for Innovation fosters partnerships between UCI and the Orange County business community. We collaborated with the Institute on a website to introduce The COVE, a new hub for collaborative venturing. While the physical space is under construction, viewers can learn more about its mission and what’s to come. February is the month of love, and movies have taught us plenty about romance. But the grand gestures of love in famous films cost more than emotional risk. In this graphic, created with Digit, we take a look at the actual cost of love. What’s the number one most expensed spot for business and off-site meetings? For Concur users, it’s Starbucks. 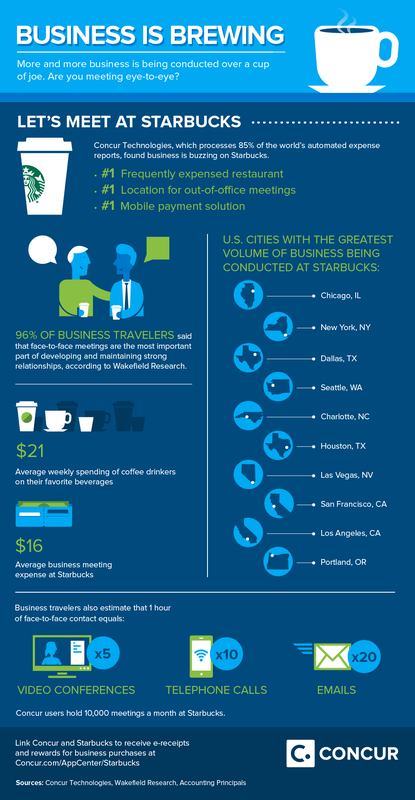 We created this infographic to find out which locations are the hottest, what people are ordering, and what they’re doing.